عندما تزور خليج بريون, ستشعر أنك في بيتك في The Garden Burees الذي يقدم لك إقامة متميزة و خدمات عظيمة. يحظى هذا الفندق ذو 3 نجمات بمكان ممتاز يسمح بالوصول إلى المعالم السياحية الأكبر في المدينة، فهو يبعد مسافة 1km عن صخب المدينة. يوفر الفندق بفضل موقعة الجيد وصولاً سهلاً إلى أهم معالم المدينة.
. يعمل The Garden Burees على ضمان إقامة مريحة لضيوفه من خلال خدماته الممتازة وحسن ضيافته. يمكن لضيوف الفندق الاستمتاع بالميزات التالية على أرض الفندق: واي فاي مجاني في جميع الغرف, تسجيل وصول/خروج سريع, تخزين الأمتعة, واي فاي في المناطق العامة, صف السيارات . تعكس غرف الفندق البالغ عددها 7 المنتشرة في طوابق جواً من الدفء والألفة.خدمات عصرية مثل تلفزيون بشاشة مسطحة, اتصال لاسلكي بشبكة الإنترنت (مجاني), حوض الاسترخاء, غرف لغير المدخنين, تدفئة موجودة في بعض الغرف المختارة. يقدم الفندق مجموعة رائعة من الخدمات كمثل حوض استحمام ساخن, سبا, تدليك, حديقة، لجعل إقامتك تجربة لا تنسى. إن The Garden Burees هو خيار ذكي بالنسبة للمسافرين إلى خليج بريون، بما يوفره من إقامة هادئة ومرحة. it was unfortunate that the wifi was down and wasn't being fixed for a month! It was also unfortunate the pool wasn't communal as the site suggested ,and with no aircon it was hard to cool down. All in all it is a cute place and close to town (also to abackpacker which is loud at night). we found a chocolate and cockroach on the floor, and after telling the manager not a lot was done,even when they said they would look at refunding the last night,I never saw her again or she never answered her phone. 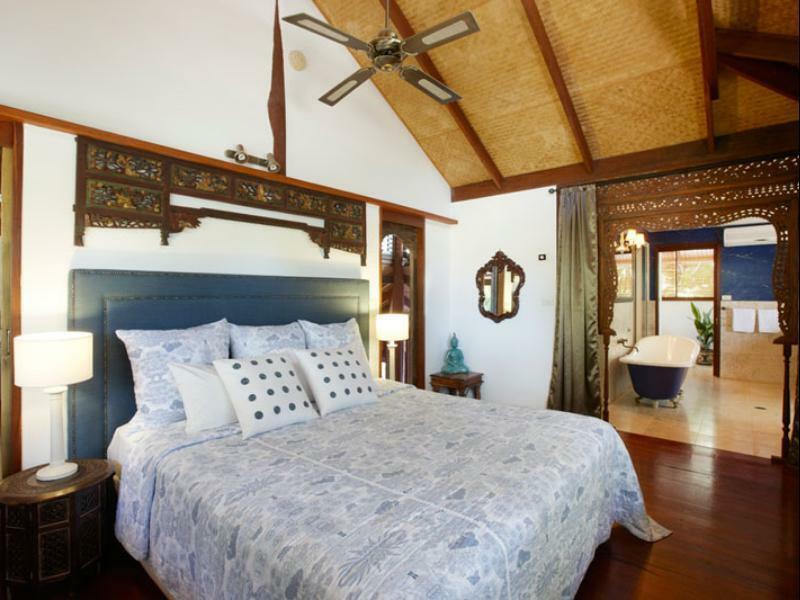 Nice accommodation with Balinese style deco. It feels like a small resort situated very close to the actions and shops. Will definitely stays there again. They had double booking then my room was down grade.They didn’t tell me anything just took us to a cheaper room.They didn’t refuse me and no apologize.Just excuse. Don’t have worth to stay here. We stayed at Garden Burees Birdsong Hideaway (two bed) for five nights. There were some good and bad points. The bad: Firstly, the room is quite old and my perspective was that it was overpriced for what it was. Second the room is dark with limited north sun and several of the lights didn't work including kitchen, so had to cook in the dark. If you're staying in winter months this is more noticeable as it's quite cold. Third, it's right next to the brewery, and when they have late night music, the bass reverbs through everything. That said, location is very good being a short walk to town, and the room had a cosy living area that was comfortable. Plus as mentioned, beer is next door. We had no hassles, but it would have been good to get it at a cheaper rate. Home away from home... 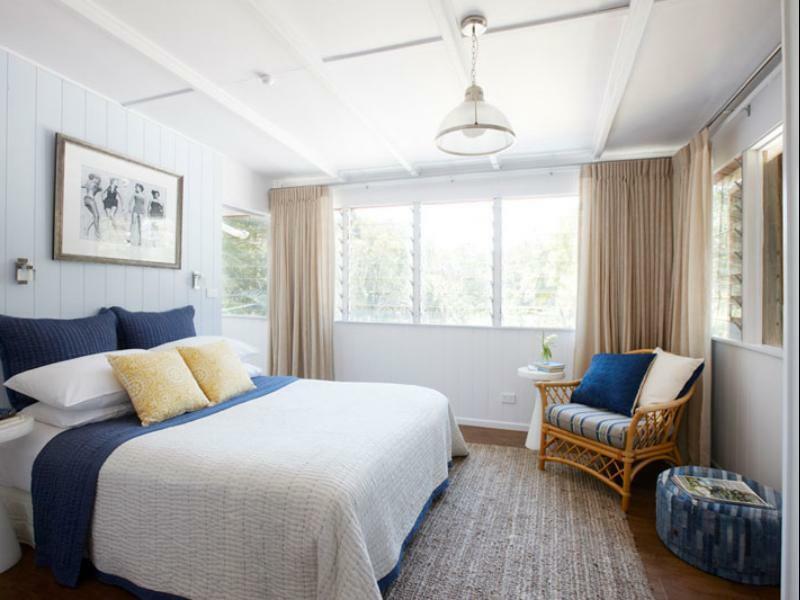 Luxury getaway at a budget price. What a beautiful place! Will definitely be back! Can really tell a lot of love and care was put into this place. Beautiful atmosphere. Felt like I was in a beautiful Bali beach hut. Miles better than staying in a typical hotel room. 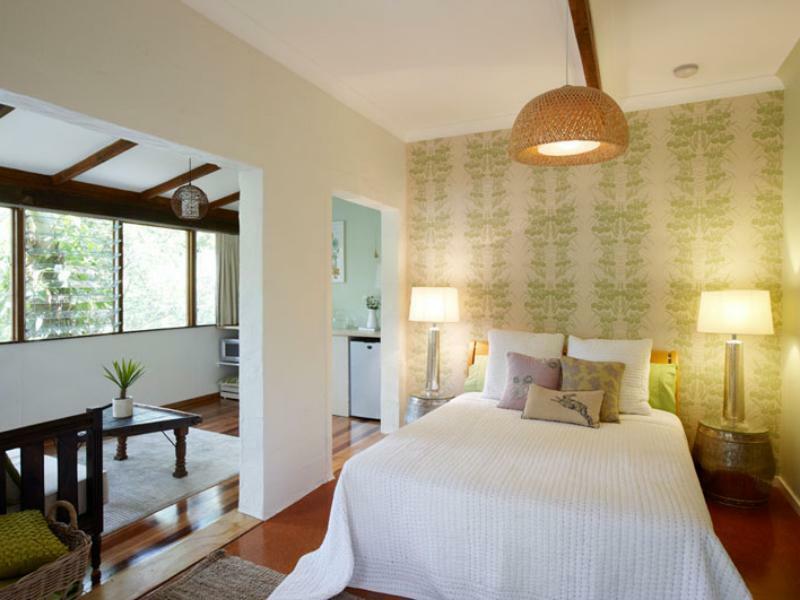 The garden buree was a really good value stay for my family and I on a recent trip to Byron. 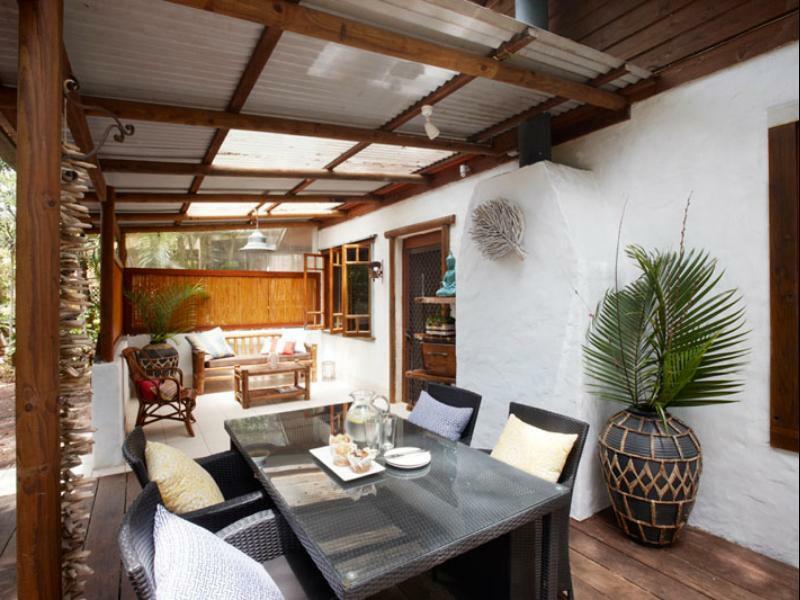 The location was good and it had a full kitchen, good sized lounge area and outdoor patio. The only thing I would say is that it was a tad damp/mouldy smelling and feeling as it is surrounded by tall trees and foliage and some of the light bulbs could be replaced with brighter ones. It is quiet even though it is next to the Brewery and Backpackers. The Garden Burees was a beautiful and relaxing spot which was a short stroll to the centre of town. Staff were very friendly and accommodating and the wildlife were a treat! Totally relaxing, friendly and beautiful spot I have stayed at - will be booking again shortly to spend more fun times with my family. Amazing place, couldnt fault it! My partner and I enjoyed the privacy and independence at the burees. 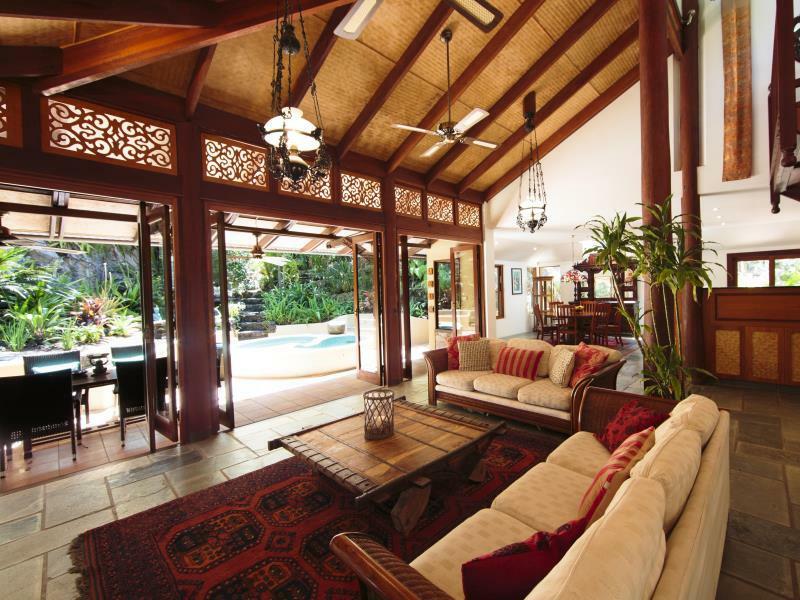 Easy access to town and beautiful rainforest surrounds. Well equipped kitchen and great bathroom with spa and outdoor shower. Came here with my boyfriend as a last holiday before he heads back to his own country and it couldn't of been a more perfect place to stay for us. We stayed in the Dragonsfly Rest and WOW! He was just as impressed by it as myself, the outdoor shower/bathtub and whole flow and setting of our room was simply magical. We were greeted with some friendly neighbours aka Lizards which was a treat. It was a perfect getaway for us, and loved every part of it. I do have to make note though that there is a backpackers right beside this room and it did get noisy both nights, however as we are a young couple also it didn't bother us. To us the noise was quite entertaining and hearing the bongos playing at night but for others this may not quite be what they are expecting. 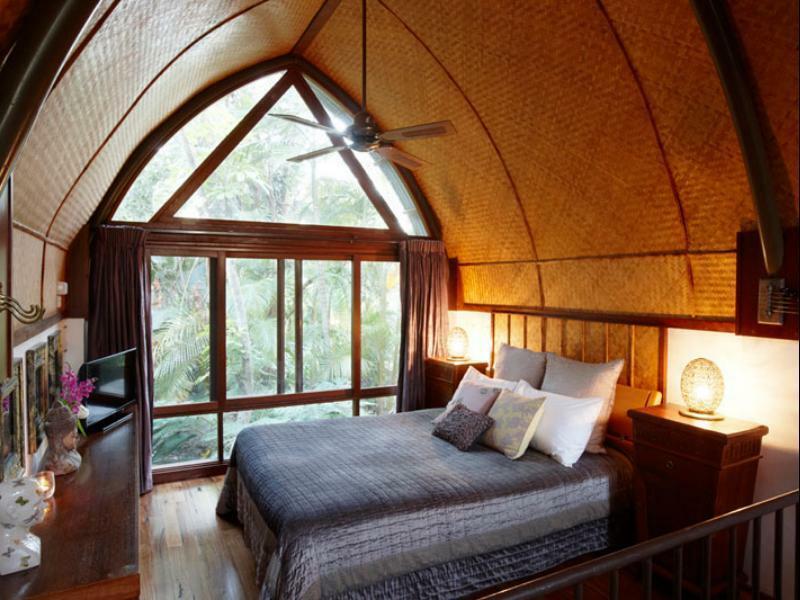 Other than that though it was a perfect getaway and I would love to come back to stay and try out the other rooms. reception was the worst no one in site to welcome you didn't even know which room I was meant yo stay in till I found a tiny box with a letter in it. We had a great stay at this relaxed and thoughtful accomodation. Loved the details and very easy space to get comfortable in! The manager was extremely helpful and gave us great tips on where to go and eat while in Byron Bay. Our room was stunning (we had the Dragonfly rest) and the outdoor bathroom is an oasis with a great outdoor shower and bath tub. You can also rent bicycles for the day which makes it easy to get around the area.